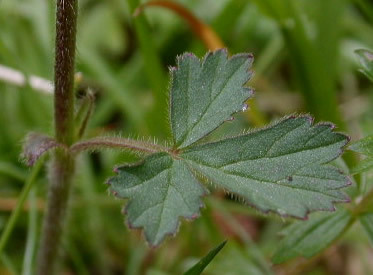 Common in marshy ground and beside burns. 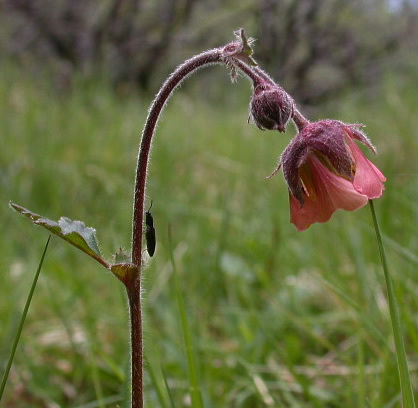 ID: Deep pink sepals, pale pinkish petals, sometimes yellow-tinged but more pink than yellow. 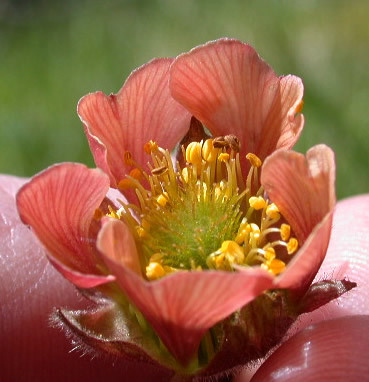 Stipules very small compared to Wood Avens, about 5 mm long. 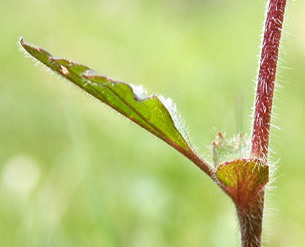 Other features: Flower nodding, but erect in fruit. 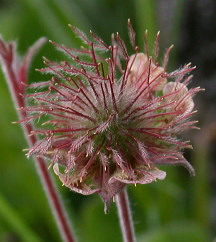 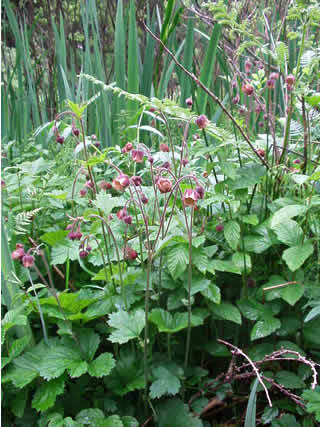 Longer stipules and yellower flowers denote hybridisation with Wood Avens.